On Sunday, we drove to Ramstein AFB to check out the Base Exchange and to see if there was a larger selection of 220 volt appliances for our new place. Some people had told us that the BX was big, but no one prepared us for how big! That thing is enormous compared to any exchange I've ever been in! 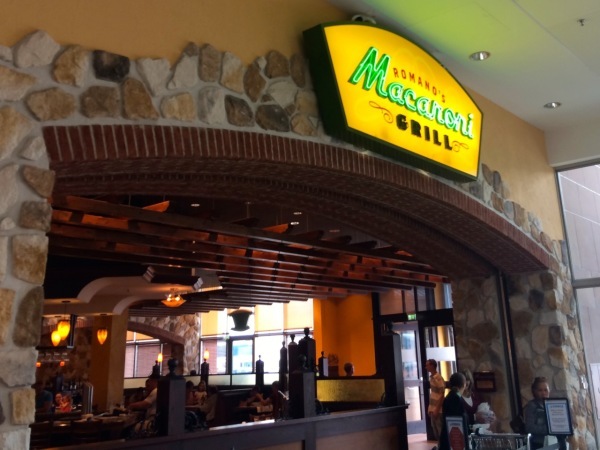 We ate lunch at the Macaroni Grill inside the BX mall and spent two hours shopping! After that we checked put the Ramstein Commissary, which was also much larger than any of the commissaries here in Stuttgart. We drove home using side roads to avoid traffic and got into Stuttgart around 8:30pm. It was a good day, and we now know about the "Big PX In The Sky" in Ramstein!